I noticed one moment. Shadows must be separated for the exterior and cockpit models. They are combined in the F430 .max file, but separated in the .tdo files - F430.tdo and f430_cockpit.tdo. 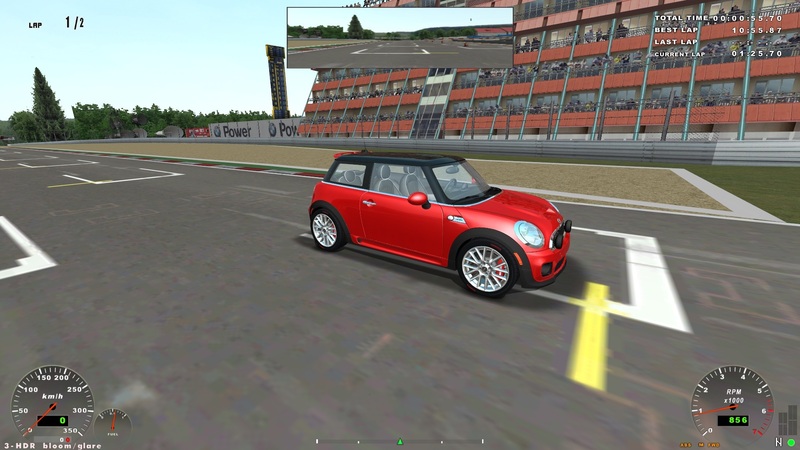 as promised i bring a mini john cooper works in game. car exterior, cockpit, damage model/physics are all done. 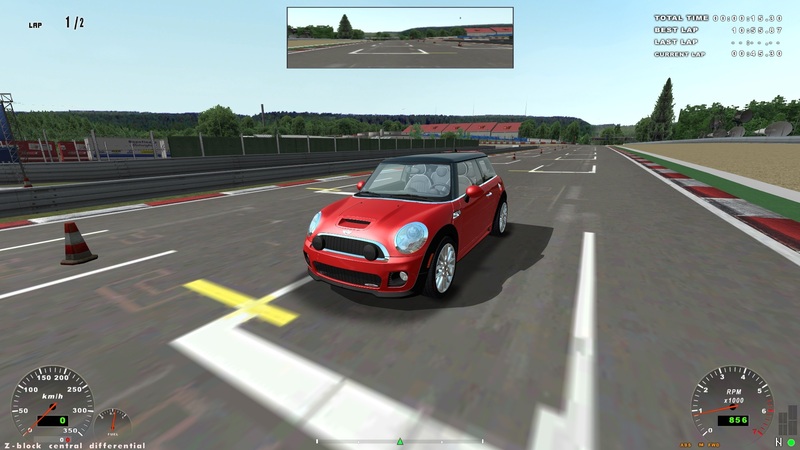 now just engine and handling then feel free to drive some laps in your brand new mini. Many thanks! I like it very much, especially red color. Just add "bonnet_view" marker somewhere on the windshield if you need it. This marker defines bonnet camera position. thx. this is awesome. i use this camera view to drive. by the way i got a question. i found out that the tutorial car (cockpit) has cubemap markers insinde (i guess they should form a box) but what does this cubemap do? The markers (cubemap_env_neg_x, cubemap_env_neg_y etc) define cameras position to generate environment cubemap that is used for the internal reflections (on the internal windshield, for example ). The object must have "Don't recieve stencil shadows (Cockpit Only)" and "Cockpit CubeMap Env" flags on it to use internal reflections, as in the example. And correct material settings, of course. It should work without those markers. If you need additional control you can add them. When I was trying the Mini John Cooper Works on the Nords noticed the absence of the digital speedometer, tachometer, gear etc. Each of these elements must be as a separate object with the mapping as in the picture. …just add “_steering_wheel” at the end.